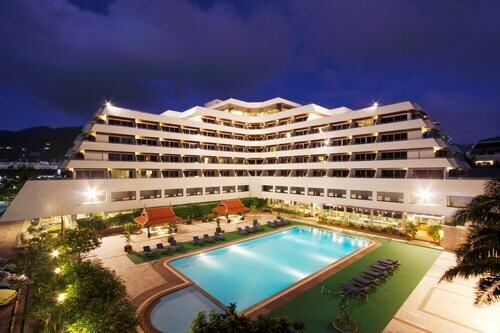 This hotel is large and in a great location in patong, very close to the beach, shops, restaurants and Bangla Road. The staff at Patong Mansion were very friendly and helped us coordinate our stay in Patong. Surin Beach is less busy than Patong and beaches further south. It's about a 15 minute walk to Bangla St and I would highly recommend one night there to experience the buzzing nightlife in Patong. 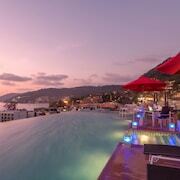 but I'd choose another quieter location like Karon a five minute drive from Patong. Where to find Patong hotels near an airport? Where can I find hotels in Patong that are near tourist attractions? From the cheap and cheerful to the more luxurious, Patong has loads of comfortable room options. You will find 911 places to stay within a 0.1-kilometre (0.06-mile) radius of Patong's downtown on our handy booking database. 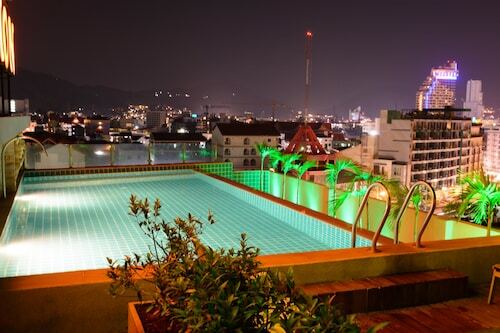 Within 1 kilometre (0.6 miles) of downtown Patong, visitors can stay at a selection of hotels, like the La Flora Resort Patong and Absolute Bangla Suites. But of course, a vacation in Patong wouldn't seem complete if you don't take a visit to the Patong Beach. 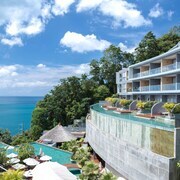 The Paresa Resort Phuket and The Naka Phuket, are within easy walking distance of Patong Beach. 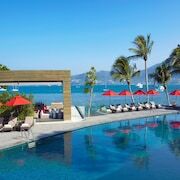 For accommodation situated close to the Bangla Night Street, check out the Amari Phuket or the Avista Hideaway Phuket Patong, MGallery by Sofitel. 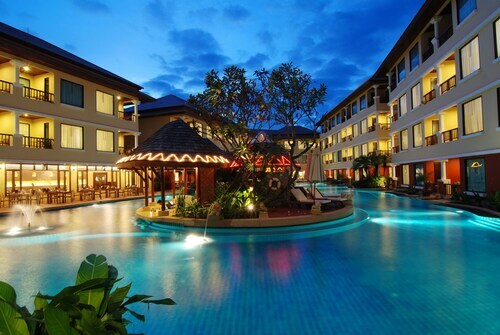 The Amari Phuket is 1 kilometre (1 mile) away from the Bangla Night Street. 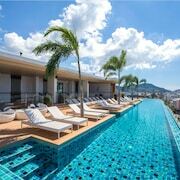 The Avista Hideaway Phuket Patong, MGallery by Sofitel is 2 kilometres (2 miles) away. If you're traveling on a tight budget, you'll be pleased to find that there is a broad range of lower-priced hotels and apartments in Patong. 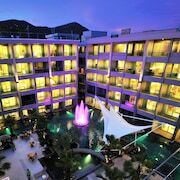 2 kilometres (1 mile) away from Patong's heart you'll find the The ASHLEE Plaza Patong Hotel & Spa. The The Yorkshire Hotel is just 1 kilometre (1 mile) away. Alternative affordable accommodation options include the Baan Paradise Hotel and the Tri Trang Beach Resort by Diva Management. 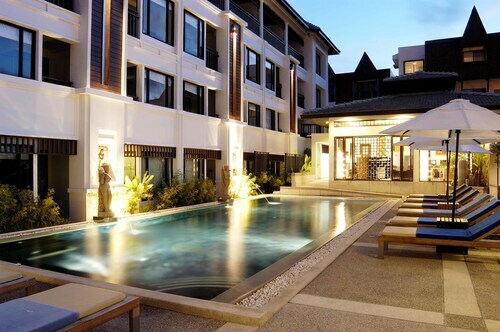 The Andara Resort Villas can be found 6 kilometres (4 miles) from the middle of Patong. Alternatively, the The Chava Resort is located 9 kilometres (5 miles) away. Two other Expedia-listed hotel and apartment options worth looking into include the Trisara Villas & Residences Phuket and the DoublePool Villas by Banyan Tree. Looking for more to do? Why not spend a few hours enjoying Phuket Country Club and Loch Palm Golf Club, which you'll find in Kathu, 5 kilometres (3 miles) to the east of Patong. 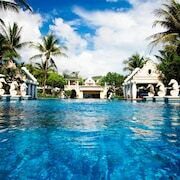 If you'd like to visit Kathu, be sure to check out the The Bell Pool Villa Resort Phuket and Villa Zolitude Resort & Spa. Alternatively, you could consider staying at Thep Kasattri, 19 kilometres (12 miles) to the north of Patong, where you'll find the Two Villas Holiday Oriental Style Layan Beach and Seastone Pool Villa. The Mission Hills Golf Course and Wat Pra Thong are popular points of interest to explore when visiting Thep Kasattri. If you are traveling into or out of Phuket International Airport and would like to stay nearby try Maikhao Dream Villa Resort and Spa or The Slate, formerly Indigo Pearl. 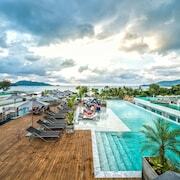 What are the most popular Patong hotels? 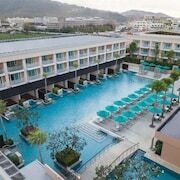 Are there hotels in other cities near Patong? 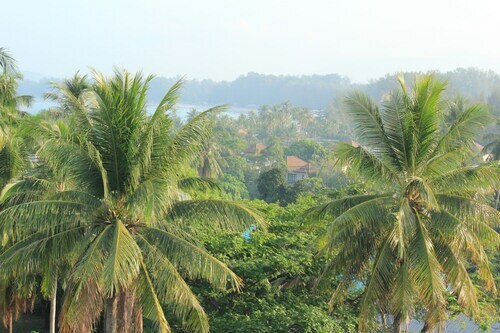 What other types of accommodations are available in Patong? Explore Patong with Expedia.ca’s Travel Guides to find the best flights, cars, holiday packages and more!